Chung Do Kwan Taekwondo came under the instruction of Michael Catron in the summer of 1995. Mr. Catron’s vision of teaching a comprehensive blend of traditional Taekwondo forms and discipline while including instruction in techniques from other styles and adapting instruction to meet the needs of each individual student has driven the direction of the dojang ever since. Mr. Catron’s background in diverse martial arts, asian culture and history, and emphasis on power, balance, and flexibility partnered with Ms. Catron’s experience in cardio-vascular conditioning, exercise science, and nutrition and wellness provides a well-rounded research and experience-based curriculum. The brother-sister duo believe that martial arts is for everyone and have taught students as young as 4 and as old as 67 including liver transplant recipients, mothers of seven, cross-country athletes, and state-champion wrestlers. Chung Do Kwan Taekwondo is a small school with small classes increasing the personalized and individualized instruction available to each student. While Mr. Catron and Ms. Catron teach “traditional” taekwondo, each student also receives instruction personalized to his or her desires. 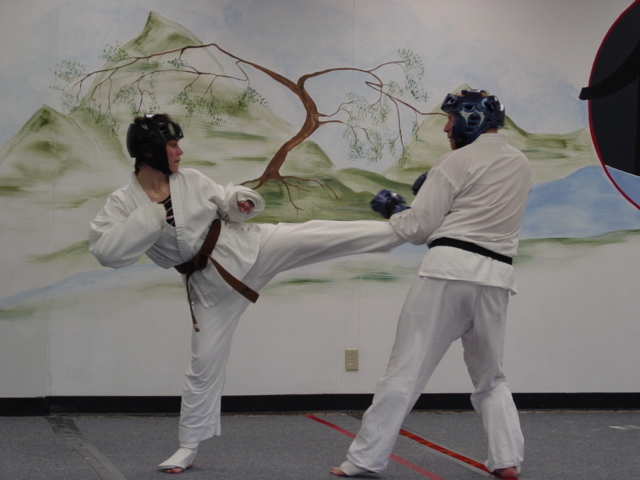 Chung Do Kwan Taekwondo focuses on training martial artists with practical skills but can prepare students for Olympic-style tournament sparring, Kickboxing, Modern (Mixed) Martial Arts, and real-life self-defense situations, and will work with students on areas of their particular interest. Further, Chung Do Kwan Taekwondo classes blend strength training, aerobic and anaerobic conditioning, flexibility and , coordination drills, and meditative periods to provide a complete workout for persons looking for an alternative to the gym or fitness center. 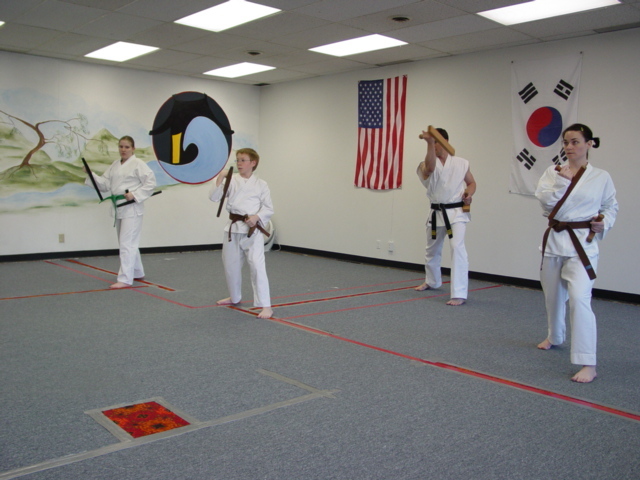 Chung Do Kwan Taekwondo offers weapon instruction in to intermediate and advanced students. Mr. Catron and Ms. Catron have over 40 years of combined martial arts experience and a desire to share their experience and expertise with you in a personalized, inexpensive environment. All interested students may attend two training sessions for free and the school bills on a monthly basis: no long term contracts. Rates start as low as 45 dollars a month and Chung Do Kwan Taekwondo offers college student discounts and family rates. Thank you for your interest in Chung Do Kwan Taekwondo. Feel free to contact us at chungdokwanuta@hotmail.com.